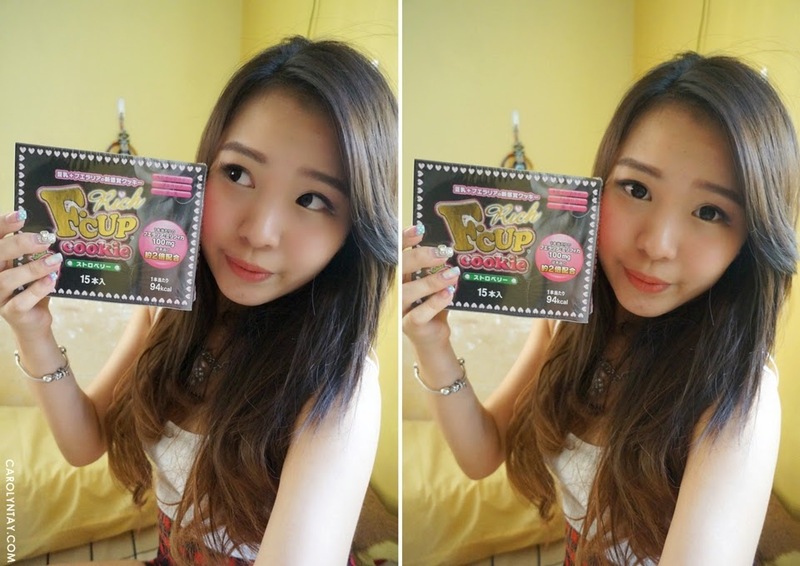 F Cup Cookies help to promote growth of mammary gland and increase the fat composition of breasts. They are low in calories and nutritious with 8 essential Amino Acids to help maintain a balanced diet. 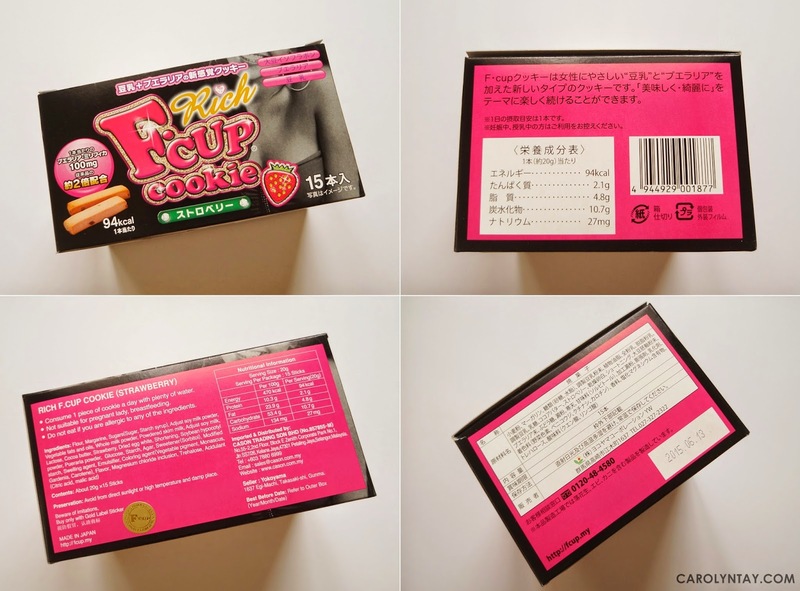 The new Rich F Cup Cookies are made with 2 times more Pueraria Mirifica than the ordinary F Cup Cookies, thus it provides double the effect of breasts enhancement! What is Pueraria Mirifica? How does it helps in Breasts enhancement? 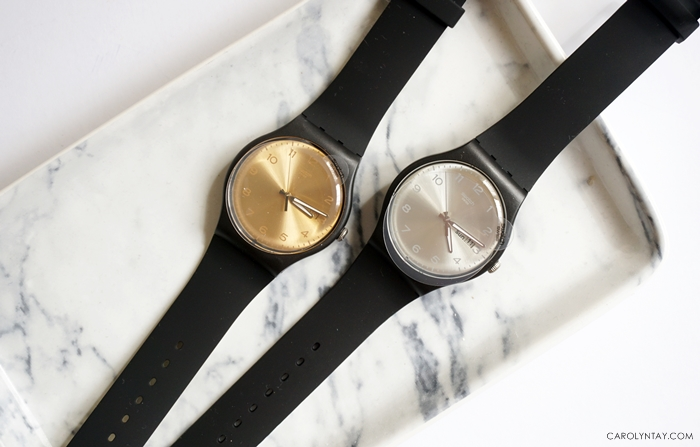 Make sure yours is authentic as there are many sellers online, buy only if you see the Gold label sticker! Consume 1 cookie a day with plenty of water, you can see bits of dried strawberries in the cookie! You may start to notice results in 3 weeks. Fret not, these cookies does not lead to drug dependence. 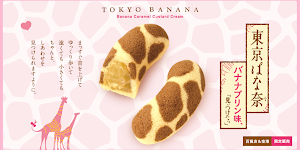 I have tried half a box of these cookies and I feel that my breasts are firmer than usual. I haven't experience any pain or itchiness. 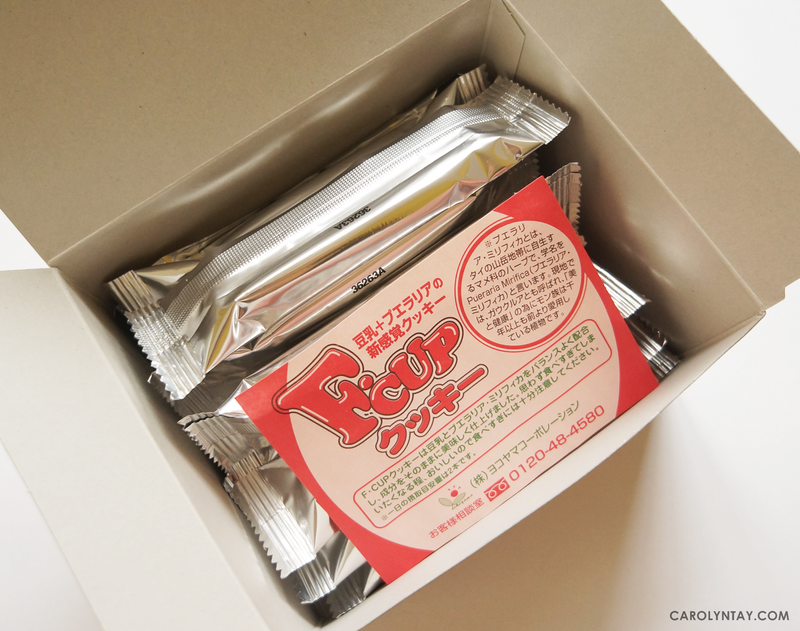 For optimal result, it is recommended to consume for more than 2 months. Once the desired result is achieved, you may stop consuming the cookies. 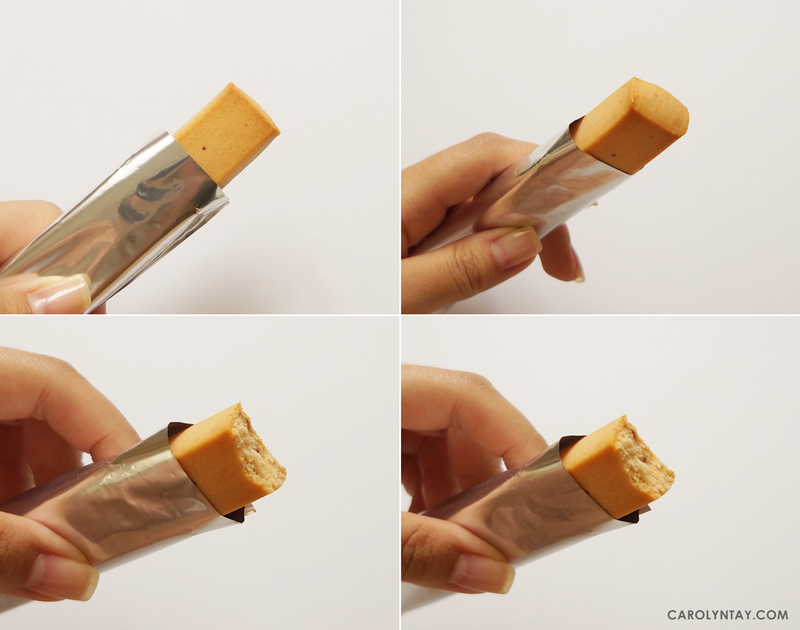 Individual packaging makes it very convenient! I can just eat one and achieve double effect! 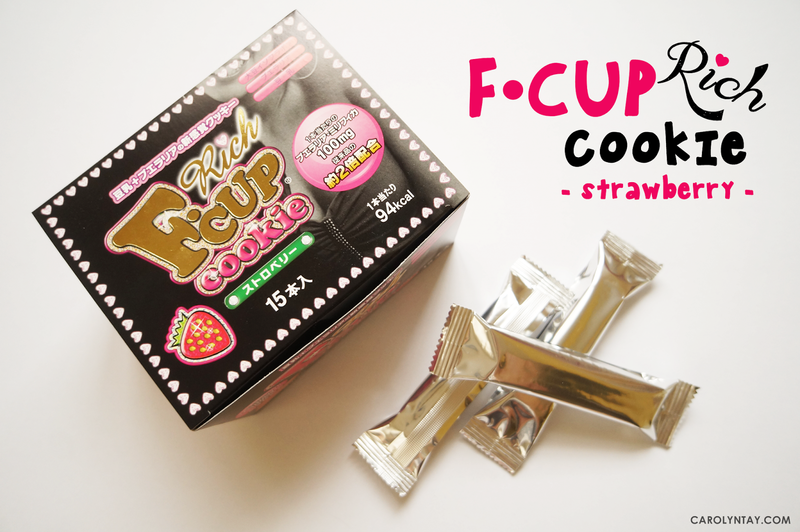 F.cup Cookie Rich (Strawberry) 15s x 2 boxes + FREE Undergarment Travel Pouch for only RM150!